If you're in Manila, it is almost impossible to see something fresh from the farm to your table. But all thanks to Tagaytay, our nearest possible veggie haven, we can continue wishing for green and organic in our meals. 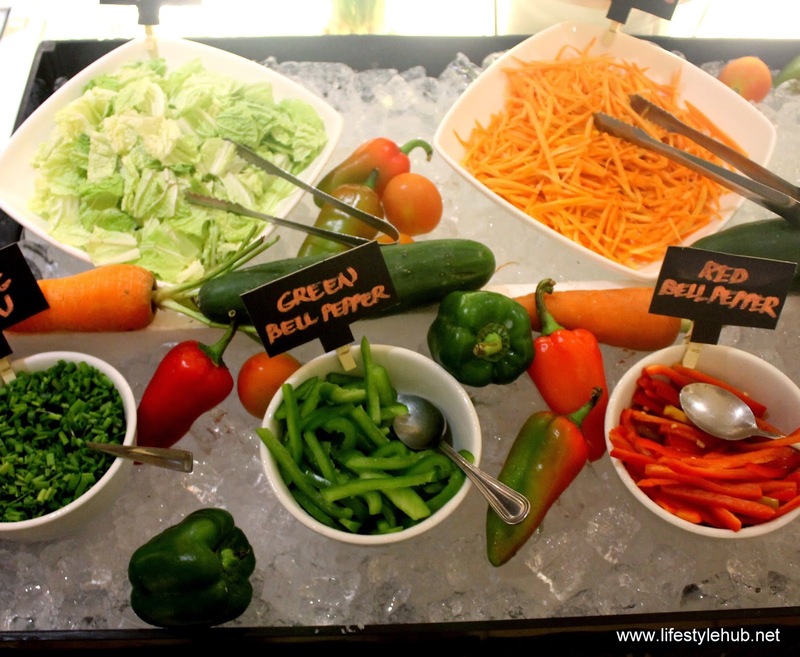 And one of my favorite restaurants - Cravings - heard the call for truly fresh and healthy food by launching the weekly Fresh Picks buffet. 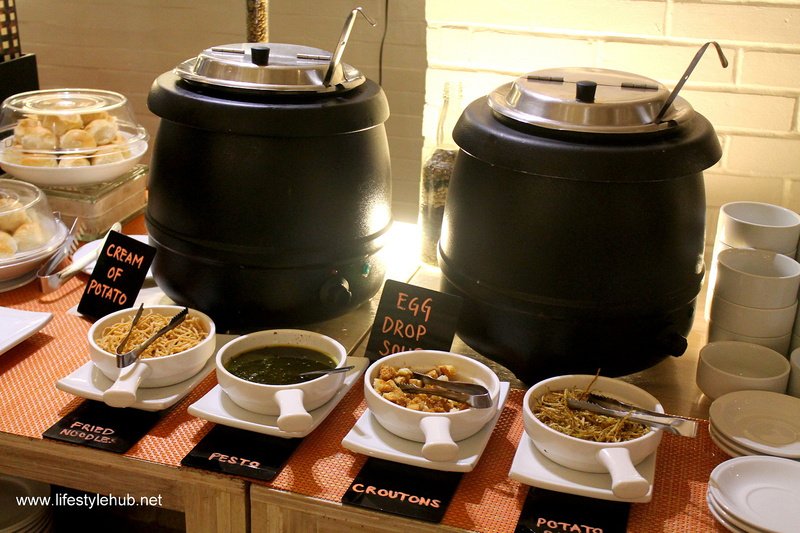 I was lucky to be among the very firsts to try this amazing buffet at the Cravings branch in Shangri-La EDSA today. 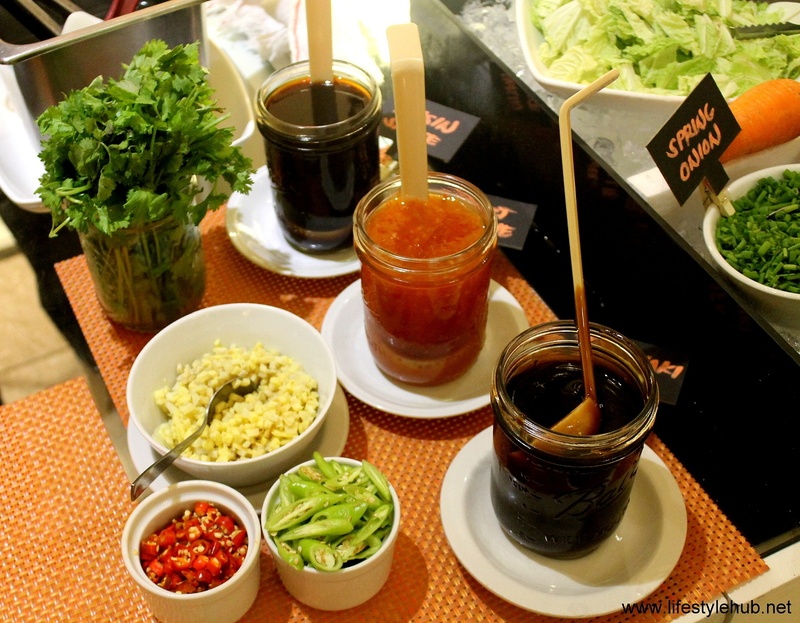 Through this offering, customers get to experience the restaurant's popular Mongolian and soup and salad buffet, unlimited juice and a choice of grilled item for only PhP550++. 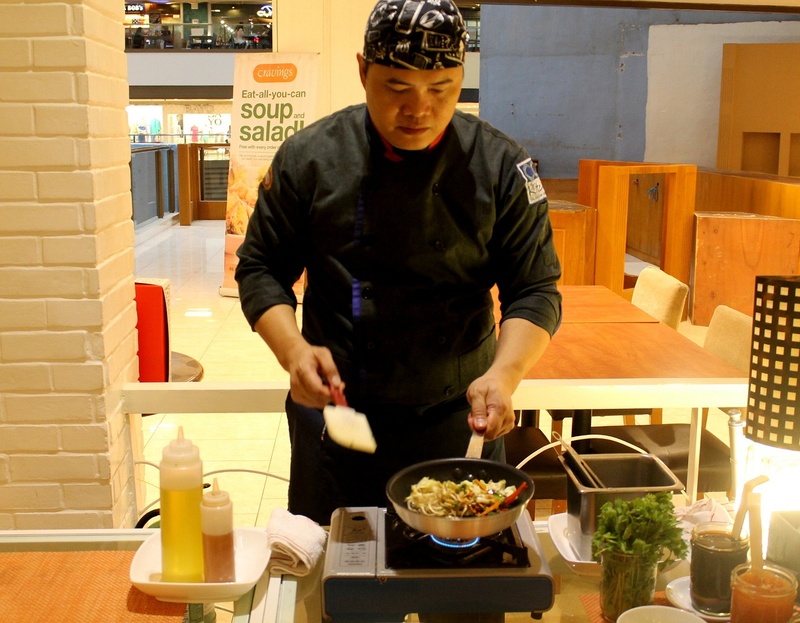 This special is available during lunch and dinner on weekends in two other flagship stores in Katipunan and Molito. I have to admit that I am a late bloomer when it comes to appreciating vegetables. But as we grow old, wisdom (and illnesses in this case) will teach us a lot including eating healthy. So, after taking photos and chatting with other bloggers, I stood up for some organic dining. I started with a mesclun of fresh greens with cucumber, olives, corn, carrots and crumbled hard-boiled eggs with tart Citrus vinaigrette. It wasn't hamburger but the taste of this veggies mix is not bad at all. I can imagine myself munching this while watching my favorite weekend TV shows. 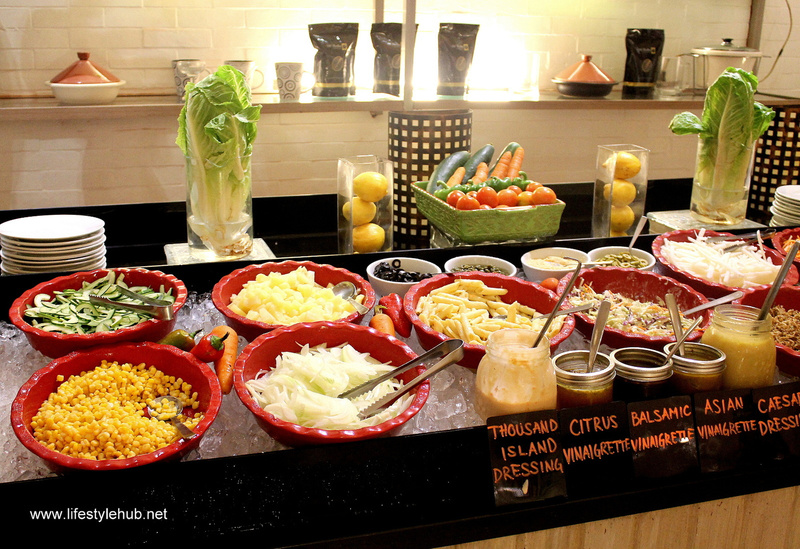 At the Mongolian station, you can ask them to stir-fry your fresh veggies for a more savoury serving. I did that and I requested for additional chicken balls and chili. The sharp Hoisin sauce brought my stir-fried salad to home run. Other grilled items vary each weekend but you'll get to feast over Grilled prawns, chicken kebabs, hamburger patties and even Cream Dory. Other choices include pork steaks, stuffed squid and grilled salmon. You know how much of a dessert lover I am. 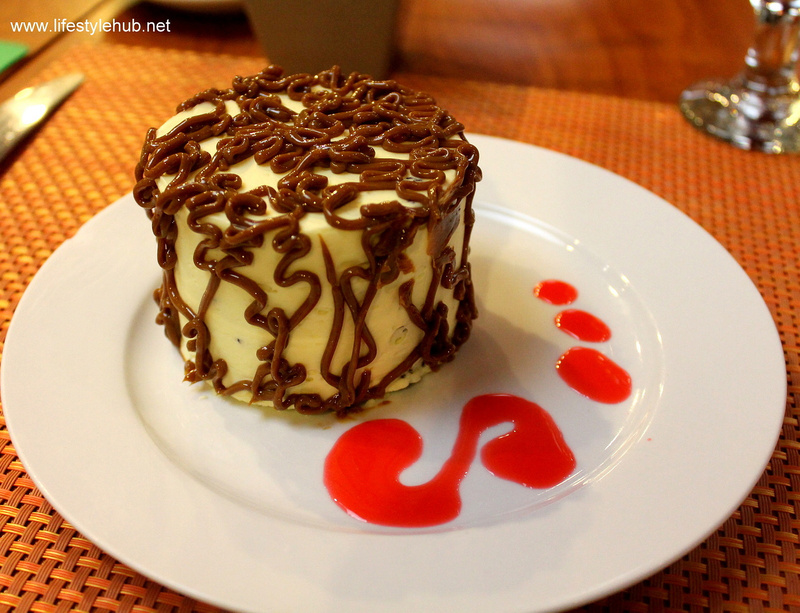 Good thing Cravings had their signature White Chocolate Caramel Cake available that day. As always, it was perfect with the Di Bella Cappuccino. If you missed my article about Di Bella Coffee, click this link: Di Bella Coffee. That was a fantastic end to my mouthwatering weekend lunch. Here is an additional good news. 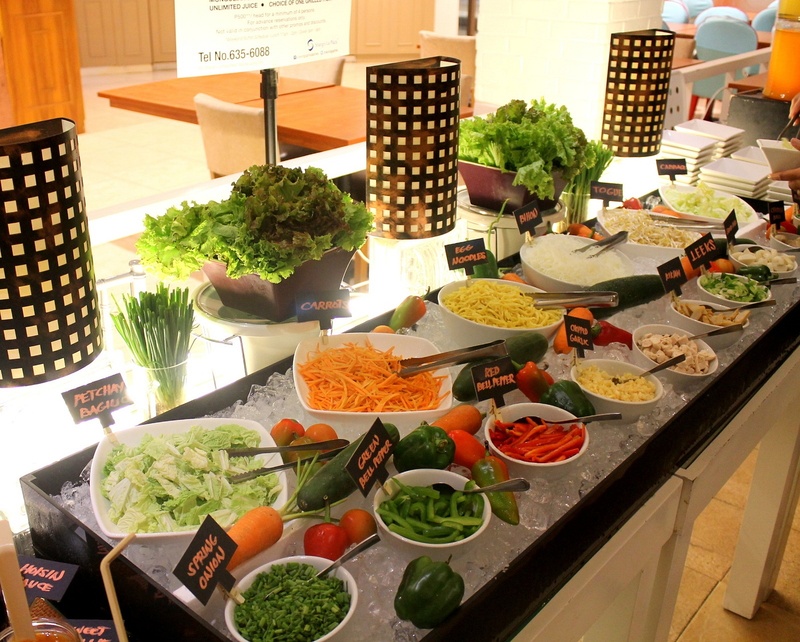 You can avail of the Fresh Picks weekend buffet pre-sold coupons for PhP495 per head. You can also save when you book in advance. You will only pay PhP500 per head and every reservation is for a minimum of 4 persons. 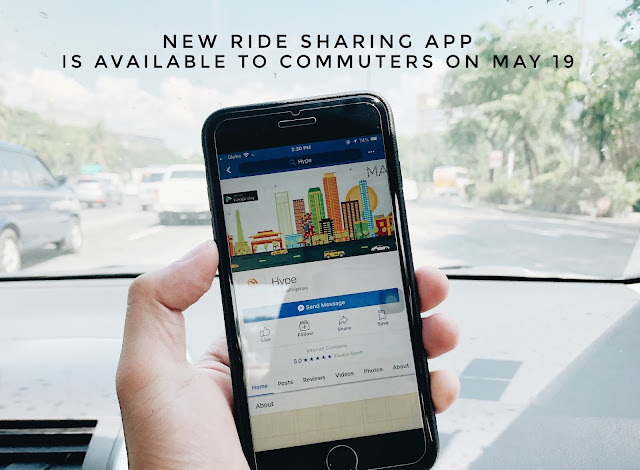 For reservations, you can call these numbers: Cravings Shangri-La - 635 6088, Cravings Katipunan - 441 6529 and Cravings Molito - 556 0927.